Pepsico CEO Indra Nooyi talks about making money, performing, and having a true core or sense of purpose. She believes there is a place for everything in people’s lives, but when you run a global business, you must recast how you make money. Talent sustainability is discussed too. 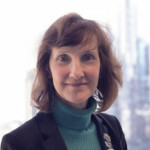 Note: Don’t miss our next WEGG webinar 6/8 on “Avoiding Scams, Fraud & Deceit in Your International Business: How to Conduct Effective Due Diligence,” and presented by expert Louise Kern. Register here: https://attendee.gotowebinar.com/register/3785897085114894084. Event is no charge but you must register in advance to attend.